100-year-old woman who flew planes during WWII celebrates her centenary by getting behind the controls again #WHM17 « Adafruit Industries – Makers, hackers, artists, designers and engineers! Tearing through the skies above the South Coast, two Spitfires evoke powerful memories of Britain’s wartime resilience. 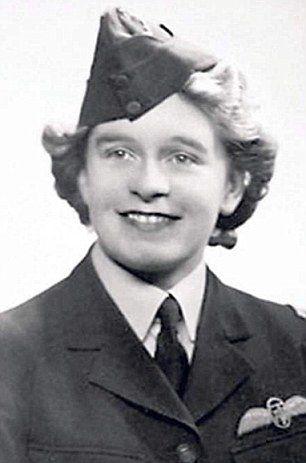 But this stirring image holds a further poignancy – for in the cockpit of the lead aircraft sits Mary Ellis, celebrating her 100th birthday by recreating her time as one of the ‘Ata-girls’, the select gang of female pilots who flew Britain’s fighters during the war. And over her shoulder is one of the actual Spitfires she flew during her 1,000 flights as a First Officer with the Air Transport Auxiliary. ‘Wizard, this is wizard!’ yelled the delighted centenarian through her intercom. Mary was handed the controls of the 275mph twin-seater as it swooped over West Sussex. After about 15 minutes, she turned for home, and told her co-pilot Matt Jones: ‘Goodwood on the nose, you have control…’. Then she settled back to enjoy the ride back to base.